The cornea is a vital and transparent part of the eye that provides us with most of our optical power and ability to focus. It must remain free of any cloudy areas or blood vessels in order for it to correctly refract light. The cornea has no blood vessels, which actually could interfere with its function. Instead, it receives nourishment from the fluid that fills the chamber behind it, as well as from tears. There are five layers of the cornea. The outer epithelium is smooth to absorb oxygen and nutrients from tears. It also blocks foreign matter from getting into the eye. Next is Bowman’s layer, which is a transparent sheet of collagen that can form scar tissue if damaged. The stroma is primarily water and collagen and makes up about 90 percent of the cornea. It gives the cornea its form, elasticity, and strength. Descemet’s membrane is a tough layer of tissue that protects against injuries and infection. Finally, the endothelium is a thin layer inside the cornea that serves to defend against fluid buildup in the stroma and keep it transparent. In most cases of surgery or vision correction, an eye specialist will provide insight on the procedure by informing you about such layers. The cornea itself helps protect the eye from harmful dust, germs, or other matter. It does this in conjunction with tears, the eyelid, the eye socket, and the sclera, or white part of the eye. The cornea acts as the eye’s outermost lens, helping to control and focus light that enters the eye. It provides nearly 75 percent of the focusing power. The cornea is able to handle slight abrasions and minor injuries, as healthy cells will cover the injury and act as a patch to prevent infection. 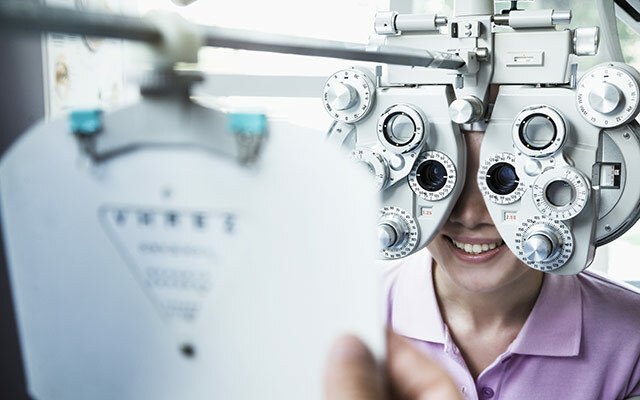 Deeper damage, however, will take longer to heal and could lead to blurred vision and scarring, which will need the help of an eye specialist to repair.